Small School. Big Clinic. Real Perk: Taking a leading role in the AALS Clinical Legal Education Conference. The UNM School of Law is taking a leading role in the Association of American Law Schools (AALS) 40th Annual Conference on Clinical Legal Education and Clinical and Experiential Law Program Directors Workshop in Denver from May 5 through May 9, 2017. 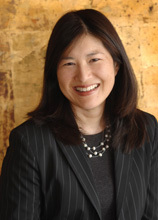 UNM Law School Professor Carol M. Suzuki is Chair of the Planning Committee for the Conference and Workshop and will give the Introduction on May 7 to welcome attendees to the conference. Suzuki worked with her team to develop the theme and content for this year’s program. “Serving the Client in Tumultuous Times: Fostering Responsibility to Individuals, Communities, and Society in Clinical Legal Education” offers a robust schedule of concurrent sessions. The conference is expected to draw over 700 clinicians from all over the country. A number of UNM Law School faculty are presenting at the conference. On May 6, Professor Aliza Organick, Associate Dean of Experiential Learning, is on a panel that will examine “Cementing the Core of Clinical Programs.” Continuing a discussion that began at the 2016 AALS Annual Meeting, the panel will consider what it means for law schools to cement their commitment to clinical education by identifying the core values and elements of clinical programs. UNM was one of the first law schools to require students to complete a mandatory, live-client clinic as part of the J.D. requirements. 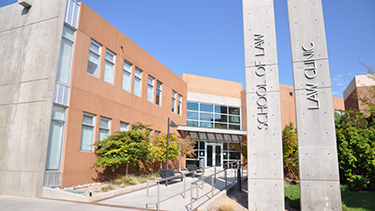 The UNM School of Law clinical program, one of the oldest in the country, is consistently recognized as one of the top programs in the nation.